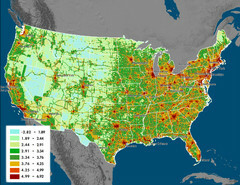 Shows area codes in which rap star Ludacris claims to have hoes from his 2001 single "Area Codes"
Shows most common names for soft drinks in the US by county. Based on 120,464 respondants. 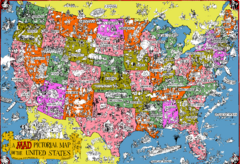 Detailed comedic drawings overlaid on a huge map of the US. 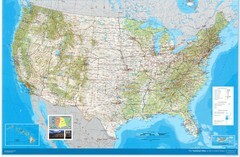 Physical relief wall map of the United States. 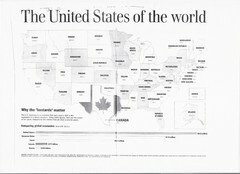 Labels each state in the US with the equivalent country in terms of GDP. Scanned.